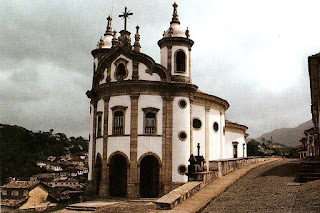 John Bury has also written a little about how this Brazilian church is “Borrominesque,” but he can’t seem to pinpoint any concrete influence.1 So far, I haven’t been able to find a concrete influence for N. S. do Rosário dos Pretos either. One interesting thing I have found, though, is that this church might have been indirectly influenced by the Peterskirke in Vienna.2 Some Portuguese rulers and leaders (i.e. Pedro II, João V, and the Marquis do Pombal) were married to Austrian ladies. Perhaps the Austrian design trickled through Portugal and then down to Brazil. 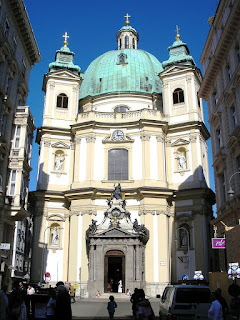 Anyhow, I hope that I can do more research and find out the connections between Borromini, the Peterskirche, and N.S. do Rosário dos Pretos. If anyone has leads, suggestion, or information, I’d be happy to hear them. 1 John Bury, “The ‘Borrominesque’ Churches in Colonial Brazil,” (The Art Bulletin 31, no. 1):43- 44. 2 Murillo Marx, “Brazilian Architecture in the XVIII and Early XIX Centuries,” in History of South American Colonial Art and Architecture by Murillo Marx and Damián Bayón, eds., (New York: Rizzoli, 1989), 361. Marx also cites Pal Kelemen, Baroque and Rococo in Latin America (New York: Macmillan, 1951). 3 I do recognize, though, that the Wikipedia article could be referring to some aspect design other than the floorplan. In general, though, I have not observed any other striking similarities between the designs of Peterskirche and St. Peter’s Basilica. If anyone knows specific architectural connections between the two buildings, I would be interested to know them. This one is a little tricky. Don’t pay attention to the scene, but the architecture of the house. Can you think of any other movies or films inspired by art? (Note: I purposefully did not mention the Thomas Kinkade painting which inspired a movie last year.) Also, if you’re interested, I found a webpage called Art History in the Movies, which lists films about art and some films inspired by art. And can you think of any paintings that should be turned into movie scenes? Tyler Green suggested five. I think that Renoir’s Le Moulin de la Galette (1876) would make a good scene in a film. And if it was a murder mystery, then perhaps one of Gentileschi’s versions of Judith Slaying Holofernes (the one linked is from the Uffizi Gallery and dated 1614-20)? I am in the middle of reading John Bunyan’s The Pilgrim’s Progress. I know the plot of this book quite well, having read the children’s version Dangerous Journey and watched its accompanying film a bigillion times. But, being a historian and purist, I wanted to read the original book (first published in 1687). Although I know the story well, I didn’t know that William Blake created illustrations of this famous allegory. It doesn’t surprise me that Blake would be interested in The Pilgrim’s Progress; as a nonconformist artist that was interested in mythical and prophetic subject matter, this story is right up his alley. 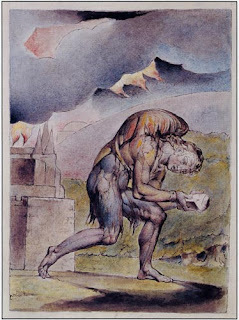 Blake began this The Pilgrim’s Progress series in 1824, but it was never finished (I assume because Blake died in 1827). 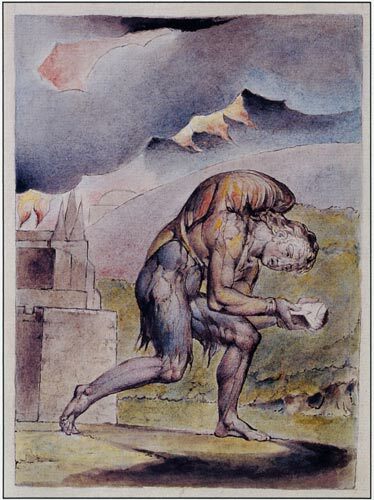 The completed illustrations weren’t put into a book until 1941 by the Limited Editions Club, over 100 years after Blake died. 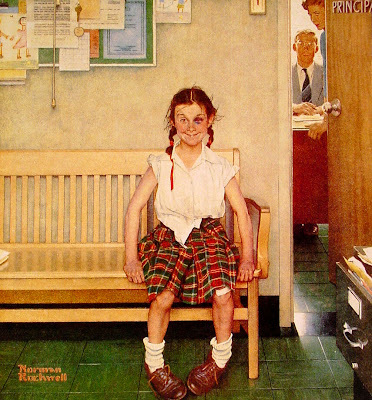 I haven’t been able to find a lot of information or discussion about this series in art history databases. I also haven’t been able to find a lot of images of the series. Perhaps this series has been ignored because it is incomplete? I’m curious to see what the other illustrations look like. I might have to buy this 1942 edition (Heritage Press) off of eBay, which includes twelve of the watercolor illustrations by Blake. But I’m a little skeptical as to why this book is only for sale for $29. Doesn’t that seem a little low for an old book with watercolors by William Blake? I had another art history dream the other night. I dreamed that I went to go visit my the AP art history teacher from my old high school. She was a really fantastic teacher and really influenced my decision to study art history. In my dream, I wanted to prove to Mrs. W that I had learned a lot from my art history training and schooling, so I went to go visit her class. However, I arrived on a day that an exam was scheduled. Mrs. W had set up the test so that we would travel to her house and then give a stylistic analysis of the house’s architectural features. When we arrived, I realized that Mrs. W expected me to take the exam too. The facade of her dilapidated house was a mumbo-jumbo amalgamation of a bigillion different architectural features. I started the exam feeling pretty confident, because I saw a whole bunch of connections and references to famous pieces of architecture. 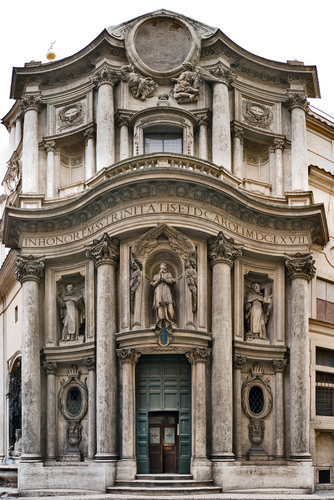 And then I noticed some architectural feature which related to the Palazzo del Té (Mantua, Italy; 1525-1535, shown here). I wrote that down, but then panicked and realized that I couldn’t remember the architect’s name. Aaaah! I died of embarrassment, knowing that Mrs. W would find out that I couldn’t remember something that she expected her AP students to know. Luckily, I woke up before we finished taking the exam. Phew! When I woke up, I still couldn’t remember the name and had to look it up. But I’m sure that I won’t forget it now. The answer is Giulio Romano. The Palazzo del Té dates from the Mannerist period in art. 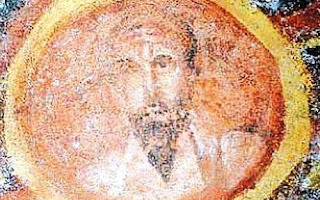 In this period, it was the style for figures in painting and sculpture to be elongated, twisted in physically impossible poses, depicted with unnatural colors, etc. The key idea surrounding Mannerism is that art is artifice – and for that reason, it’s okay to make things look like they are not “natural.” This nonsensical (and sometimes strange) style spread into architecture too, as shown in the design of the Palazzo del Té. My favorite things about the Palazzo del Té are the ridiculously large keystones. They look really unsettled and seem like they are going to slip out from their position. Furthermore, many keystones are placed over rectangular niches (which is ridiculous, since keystones are used to help hold an arch in place, not a rectangle). I also like the impressively large Tuscan columns, that end up supporting an itty-bitty architrave. (And the architrave itself is broken into different sections, as if the triglyphs above are going to push chunks of architrave off of the structure.) He hee! It’s a little silly. And I like it. 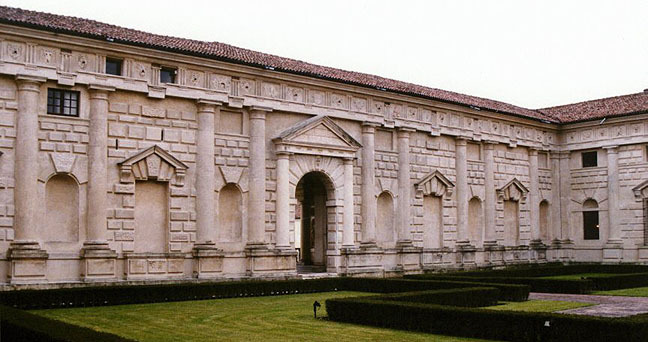 So, thanks for making this fun piece of architecture, Giulio Romano. I promise not to forget your name again.